For the first time ever From the Wreckage by Melissa Collins is only 99 cents! 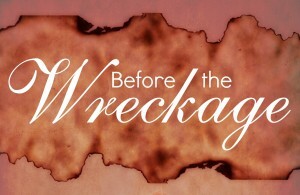 While you're add it - don't forget to grab the prequel, Before the Wreckage, FOR FREE! It’s been eighteen years since David Andrews has seen Grace McCann. One night she’s in his dream and the next she’s in his reality.